Cleaning your house can take a lot of hours before you finish. This can make you look for a professional cleaning service to come at your home and do the cleaning. They arrive and start the task. In a span of a few hours they will have finished. They will leave your house clean like it has never been. Ever wondered how they achieve that? Well, we dug deep and discovered some top secret and techniques to apply. Do you know that soap scum that is difficult to remove? Yes! You can scrap it off with a plastic putty knife. It would take half the normal time it takes when using a sponge. To prevent the future, build up, you should try and shift to the gel soaps or synthetic liquid. That is less likely to develop scum compared to bar soaps. In fact, it will prevent you from scrum-scraping in the future. Stainless steel looks beautiful and it is also stain-resistant. In addition, it shows fingerprints and smudges very fast. 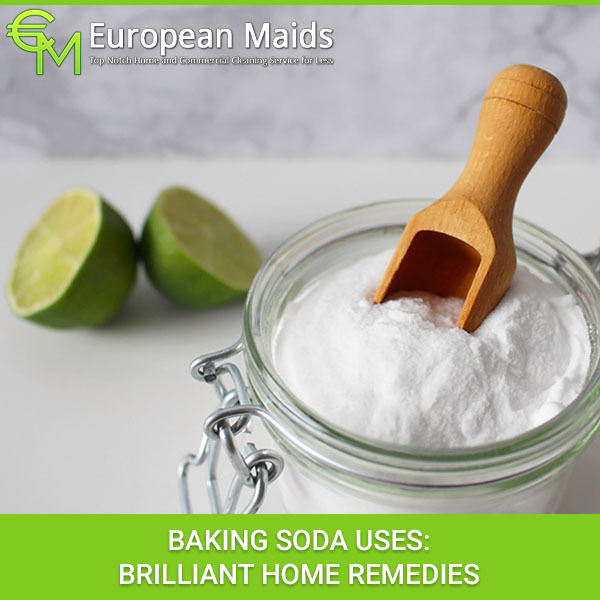 One of the approaches to use to clean and maintain it is by pouring mineral the mineral oil on a cloth as well as wipe it across your sinks, countertops and other surfaces. The mineral oil is a good water repellant and it increases resistance. This will prevent sticky elements from remaining in the steel as well as cut down on your future cleaning time. Well, cloths can be a great dust remover, but still you can save enough time by using a feather duster. The dusters are amazing. Most importantly, when it comes to cleaning pictures, blinds and places that are difficult to reach. They are further good for daily dusting or if you want to clean a room quickly before your visitors arrive. If there is some heavy dust which has buildup, perhaps you might require to have a cloth or vacuum to use. If you want to clean a smelly disposal, you should drop your orange or lemon peels down the drain. Run that disposal for about fifteen seconds while the water running at half-pressure. Next, drop a few cubes in the disposal and turn it on again. Turn off the disposal, put the stopper above it and run water in the sink until it is half-full. Pull out the stopper and allow the water to flush out of the disposal for some fresh scent. As the name suggests, magic erasers are just magical. 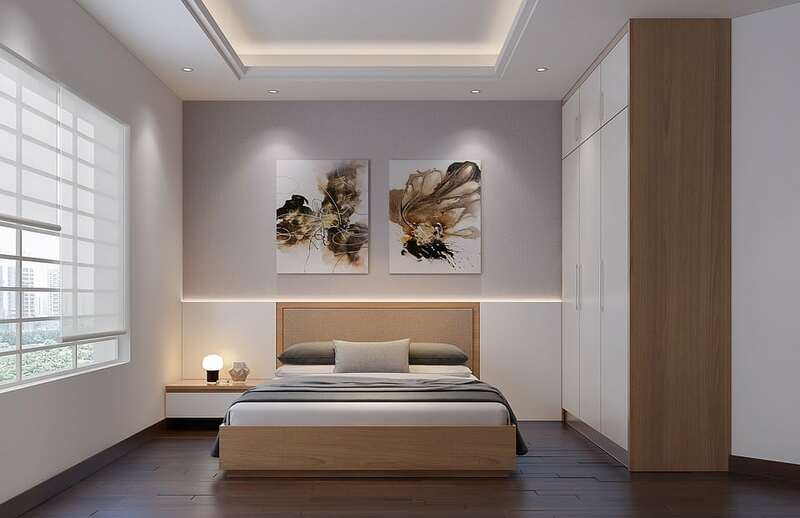 One of the main reason why they are considered magical is because they are capable of cleaning every surface right from the floor to the ceiling. You can use magic erasers can be applied on tile, laminate and wood. And the get rid of everything right from stains to crayon marks. 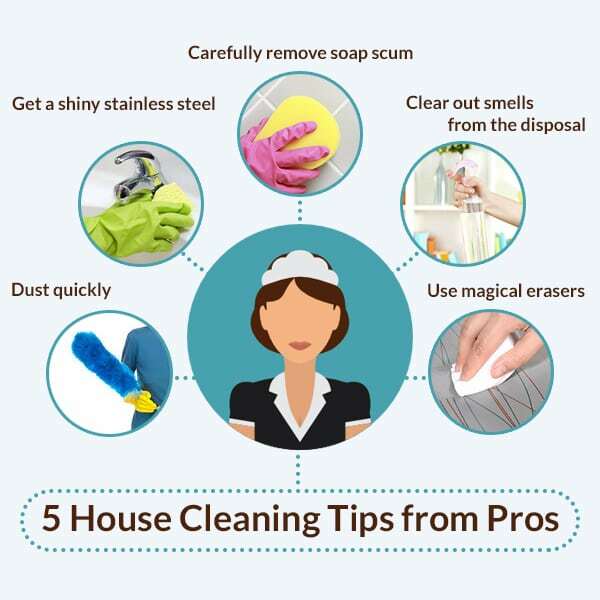 While these are some of the best few tricks which you can apply to get your house clean in a few hours. 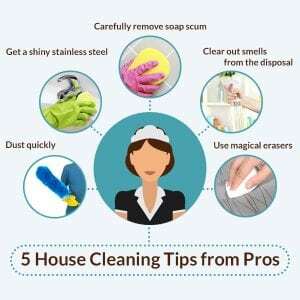 If you add them to your daily cleaning routine, you will realize that you have less time to work on your home, but at the same time enjoying it. 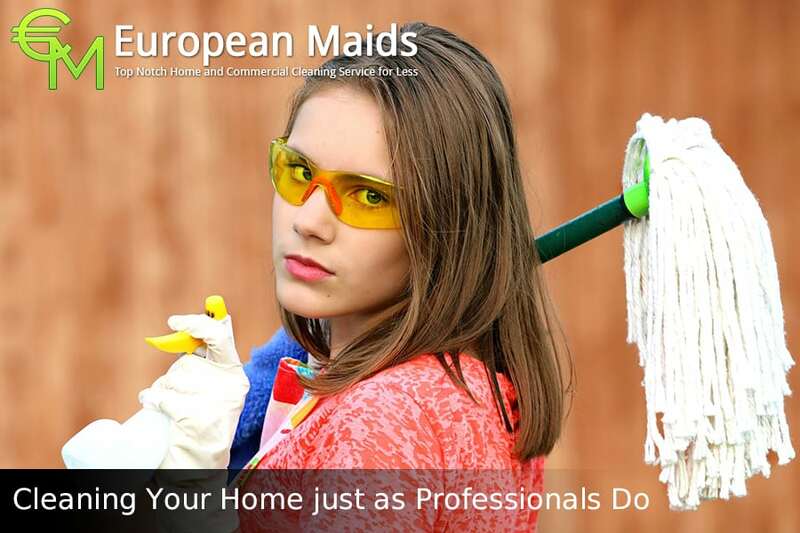 Otherwise, you can engage a reputable cleaning service such as European Maids.